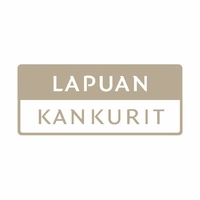 More about Lapuan Kankurit My Finland Tea Towel If Finland is close to your heart, show it in the space where you congregate, cook and create with the Lapuan Kankurit My Finland Tea Towel. A map shaped by Finland's regions, municipalities and cities, it's a fun and educational way to celebrate the rich diversity and community of the country. Feel proud knowing it's made in Finland by the only Scandinavian weaving mill to carry the 'Masters of Linen' seal. The quality craftsmanship and materials will show each time you use this linen/cotton cloth for drying dishes or baking pastries; you could even frame this functional art. This also makes a great gift for Finnish friends and family, whether they live there now or are elsewhere missing home. 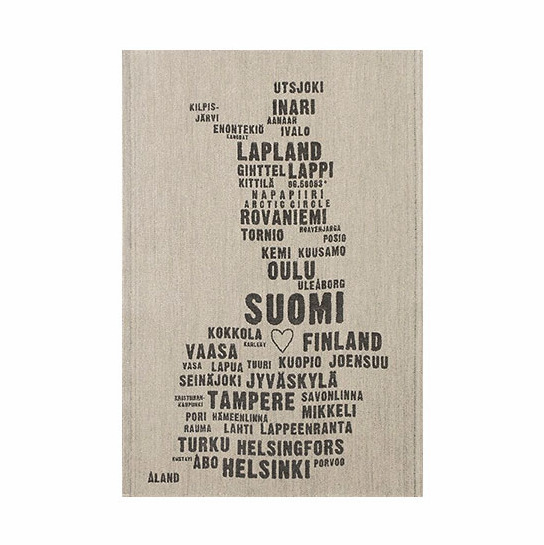 Beautiful, high quality cotton with unique design of Finland's shape that is created by the cities' printed names. Very creative!! 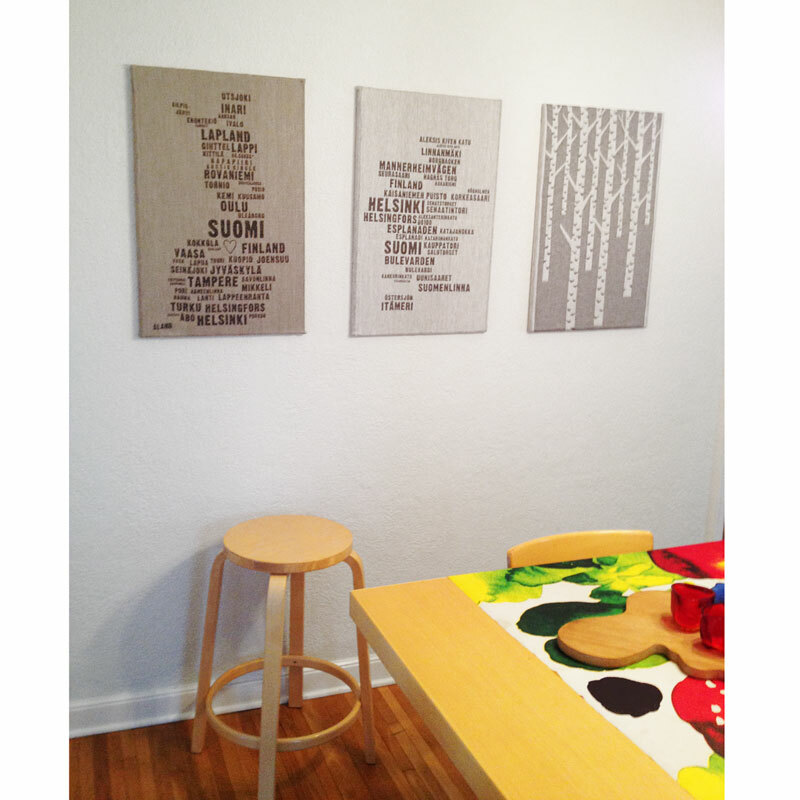 A beautiful gift for friends that are dreaming of a trip to Finland! These tea towels are wonderful and well made. Clever design. Made great gifts. My Finland. My Tea Towel. This dish towel is generous in size. It's thick and absorbent. Perfect for drying glasses. The design is woven rather than printed, so it will hold up well to repeated washings. I love Finland and therefore love this idea! The quality of these towels is outstanding. Finnish tea towels are the best! Love my new Finnish tea towel. Reminds of our onderful Finland!